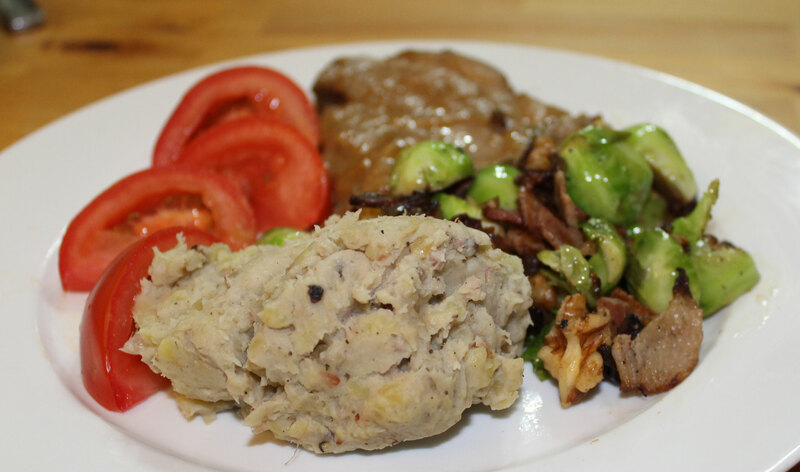 I made a slow-cooked pork shoulder joint for dinner… I use my slow cooker a LOT, especially on the days that I work as it makes dinner preparation so much easier. It also means that dinner can be left cooking while everyone is out of the house. This is one of our favourites as it comes out of the slow cooker tasting rich and delicious. 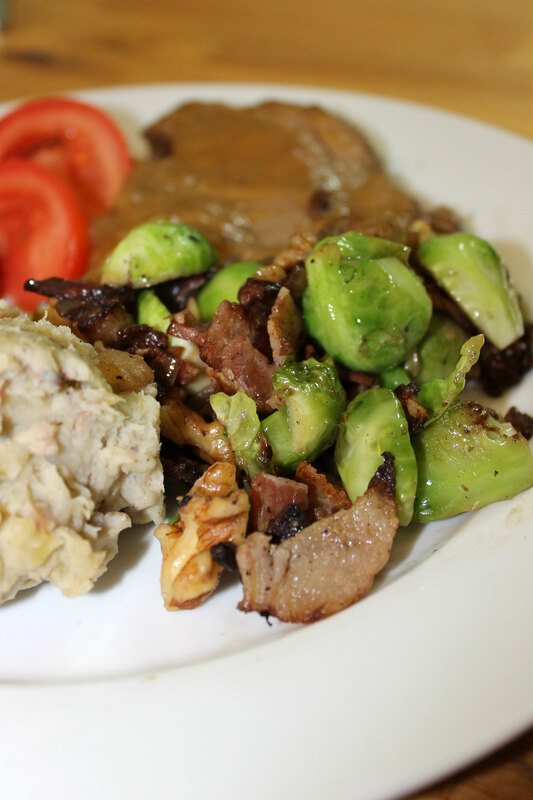 It uses some of the wonderful pastured pork that we buy from Spragg’s Meat Shop. Take all the dried herbs and salt and mix together. Rub into all sides of the pork. Place the sliced apple and onion in the bottom of the slow-cooker, put the bayleaves on top and pour over the bone broth. Now sit the seasoned pork on top of the bed of vegetables. Dribble over a small amount of melted lard, put on the lid and cook on low for 8 hours (or on high for 4 hours). When ready, remove the pork and leave to rest. Remove and discard the 2 bay-leaves and blend the apple and onion with the cooking juices in the pot to make a gravy. Serve the pork cut into thick slices with the gravy poured over. 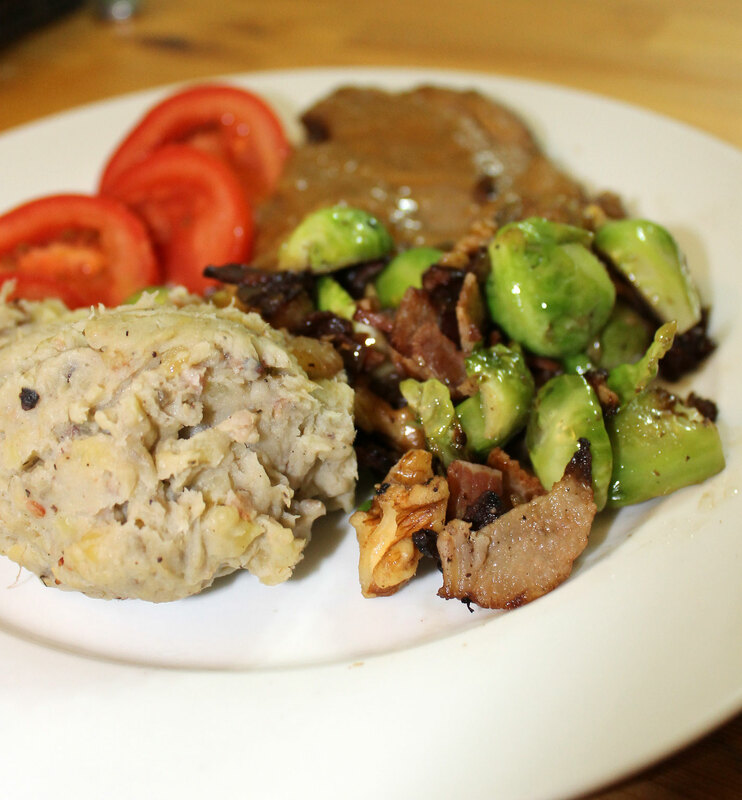 I also served this with Mofongo (Plantain mash), brussels sprouts stir-fried with bacon and sliced fresh tomatoes (the tomatoes are not suitable for the elimination stage of AIP – they are a stage 4 reintroduction). And the name porky goodness? it is because 3 out of the 4 components of this dish contain pork in one form or another…. 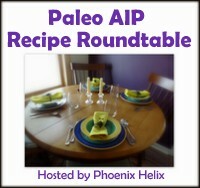 This entry was posted in Autoimmune Protocol Foods, Food, Recipes and tagged AIP-friendly, bacon, crockpot, gluten-free, grain-free, healthy, paleo, pastured pork, pork, primal, slow-cooked, slowcooker. Bookmark the permalink.